Roshni Rai, Binod Tamang, Uttam Bhujel, Ranjeet Rai and Kamal Thapa - these five runners from team ‘Run with Roshni’ are going to run Airtel Delhi Half Marathon (ADHM) on 20th November 2016. Roshni Rai, the founder of Run with Roshni Foundation, will be running ADHM for the third time on 20th November, 2016 however as a team “Run with Roshni” will be running for the first time in the capital city of India, New Delhi. ADHM is the world’s richest and most prestigious half-marathon. For five runners of team “Run with Roshni”, accommodation in Jawarharlal Nehru Stadium, Delhi is arranged by Mr. S.S Ahluwalia, MP for Darjeeling and Minister of State, Ministry of Agriculture and Farmers Welfare. Project ‘Run with Roshni’ is started by a Gorkha Girl from a village known as Pedong in the sub-division of Kalimpong, Dist, Darjeeling. Roshni is an Advocate by profession and based in Mumbai. Marathon running is Roshni’s hobby and she has run several marathons including six international marathons viz. Prague International Marathon 2010 (42km), Comrades Marathon 2012 (89km) in South Africa, Maidenhead Half marathon 2013 (21km) in UK and 10km Race- ‘ London Run to the Beat 2014’ in UK,Tenzing Hillary Everest Half Marathon 2016 in Nepal and recently Xingyi International Mountain Marathon 2016 in China. 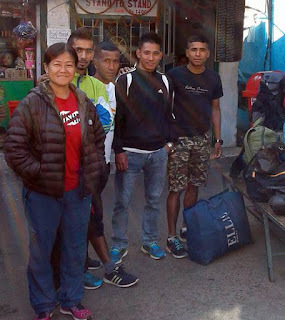 Roshni has run the Comrades Marathon of 89km in South Africa in 2012, which she had dedicated as a tribute to all the Gorkha martyrs, who have sacrificed their lives for mother India and also for the cause of Gorkhaland. The longest distance run by Roshni is Bangalore Ultra Marathon 100km in November 2015. From 2012, Roshni has started a project by name ‘Run with Roshni’, which is now a registered Charity Trust as ‘Run with Roshni Foundation’ (RWRF). Till now, RWRF has supported more than 30 runners from Darjeeling to run fourteen different Marathons and Tiranga Relay 2015. ‘Run with Roshni’ team has participated in Mumbai Marathon in January 2012 to 2016. Hyderabad marathon in August 2013 and 2014, Chennai Marathon in December 2013, Tiranga Relay 2015- Five runners ran with India’s flag from Mumbai to Delhi in 20 days, Cherrapunji Marathon (Meghalaya) in July 2015 and 2016, Bangalore Half Marathon 2015 in October 2015 , Daman Half Marathon 2015 in December 2015, Running and living Sikkim Marathon 2016 Sorah Cherapunji Marathon 2015 and 2016 and Satara Hill Half Marathon 2016. Roshni Rai informed that the VISION of the project ‘Run with Roshni’ are to empower and enlighten Gorkhas in India and to eliminate the identity crisis faced by Nepali speaking Indian in their own motherland. Bringing awareness among Indians, how the Nepali speaking people are Indians and that Nepali is a recognized language under the Constitution of India and it is one of the languages mentioned in the Indian currency. To bring awareness among Indians that some part of Nepal spreading from Dehradun to Assam, including Darjeeling and Sikkim were annexed to India by British by signing Treaty of Sugauli in 1816. So that Indians understand that all the Nepali speaking people are not migrants from Nepal but they became part of India along with their land. She say we have a Main vision of ‘Run with Roshni’ - Darjeeling has received enough dead bodies of her son with India’s flag on their chest (martyrs), now she should start receiving her sons with India’s flag on their shoulders, the way sports stars return home after winning Olympic Medals. While running marathons, Team Run with Roshni wear t-shirts with SLOGAN;We are Gorkhas and proud to be Indian. 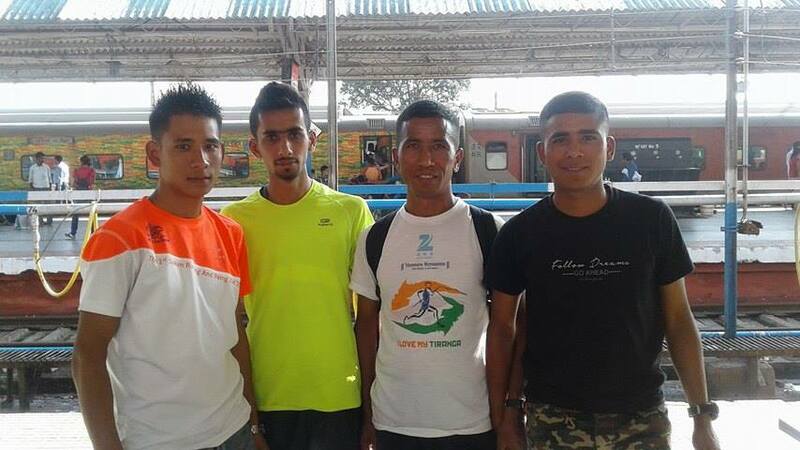 0 Respones to "'Gorkhas are Indians' message at Delhi Half Marathon"